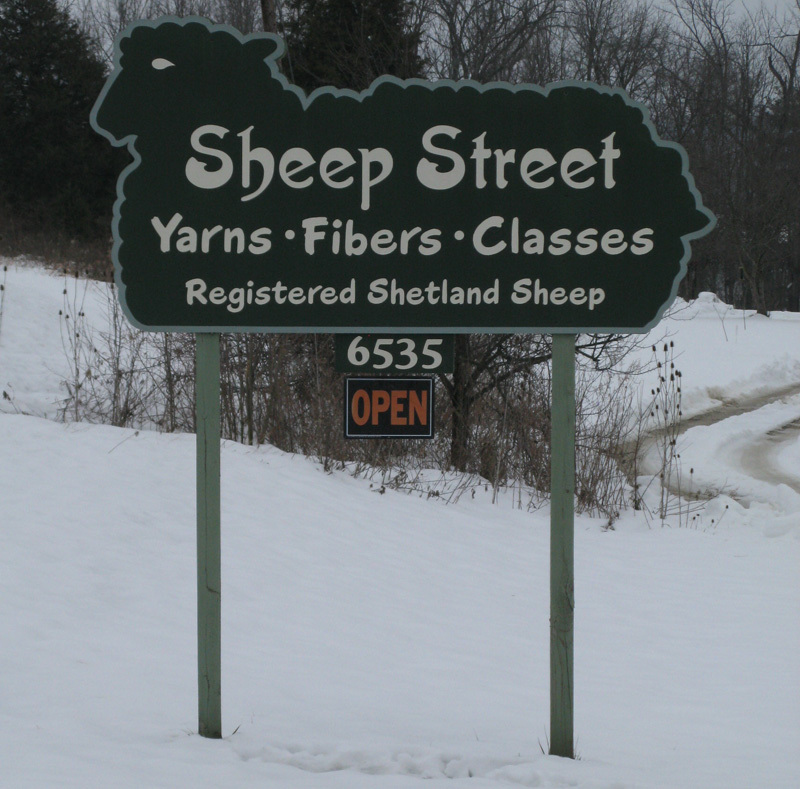 For this Illinois flatland girl, going over the hill and through the dale to Sheep Street Fibers was a delightful excursion! That’s because to arrive at this new addition to the Rural Routes to Main Street Cultural Trail, you truly get to experience the hills, curves and rural ambiance of Morgan County. Just when you think you’ve experienced all the area’s bucolic sights, you find Sheep Street Fibers and discover a wonderful respite to the hectic "busy-ness" of life. Sheep Street Fibers is full of yarn and the equipment needed for kitting, spinning and weaving. But wait, there’s more! 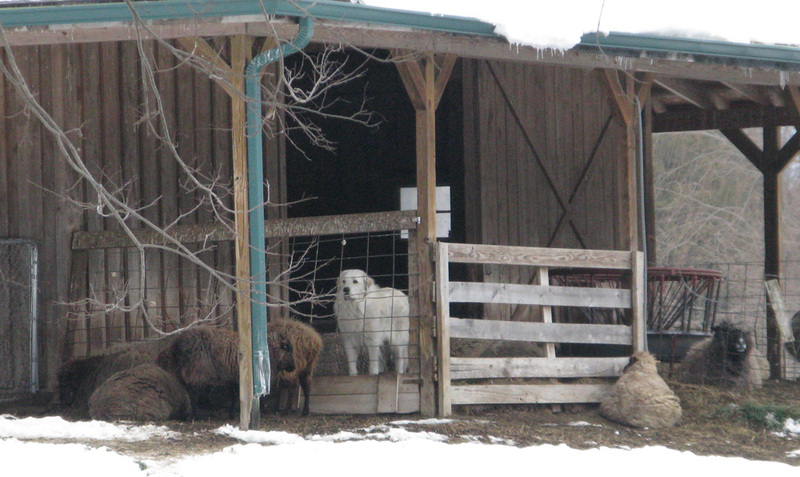 Just out the back door of the shop are the meadows and barns where 92 registered Shetland sheep are raised for their wool, guarded by four beautiful white Great Pyrenees dogs. That’s right – over the last eight years, the owners have built not only a shop where patrons can purchase equipment and materials and take classes to learn to knit or crochet, but a place where those interested in all things connected with wooly fibers can find what they want. Education included. The farm is home to the Shetland sheep whose fleeces are sheared annually, processed into fluffy roving (some of which is hand dyed), spun and offered as yarn. The owners participate in every aspect of the process. If you want fleece, you can get it. If you want roving, it’s there. If you want hand-dyed yarn, look no further. If you prefer natural yarns, there are several shades already spun hanging in long hanks. Be sure to purchase what you need, because each hank is unique. Different sheep have different colored wool and when the selection is depleted, there simply is no more. Shetlands vary in color from black to grey, brown and creamy white and their wool is considered one of the softest. 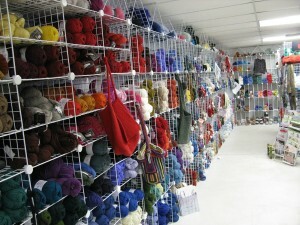 But it’s not just all about sheep and yarn at Sheep Street Fibers. 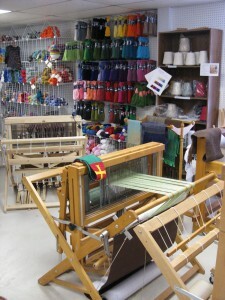 The skills of knitting, crocheting, spinning and weaving are all taught on site. There are wheels to use or purchase; there are looms to turn strands of yarn into blankets and scarves – for your tables or your neck. And I don’t mean a class here or there. When I asked about the courses offered, I received a four-page listing! And that was just for winter and early spring! You can get on the mailing list for their newsletter, Sheep Street Bla-a-a-abermouth by clicking here to go to their website. Their newsletter comes out every four months. Families and grandparents stop by with the kiddies and are greeted by the one-eyed cat, Pirate. 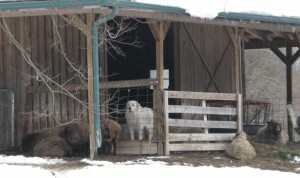 Their attention shifts quickly to the sheep and the dogs. Shearing in the spring is a big event, usually lasting about three days and people stop by to see the sheep lose their wool coats – some even purchase the fleeces fresh off their backs! Since the whole operation is a producing farm, there is farm work to be done regularly, which is why the shop’s hours are a bit unusual. 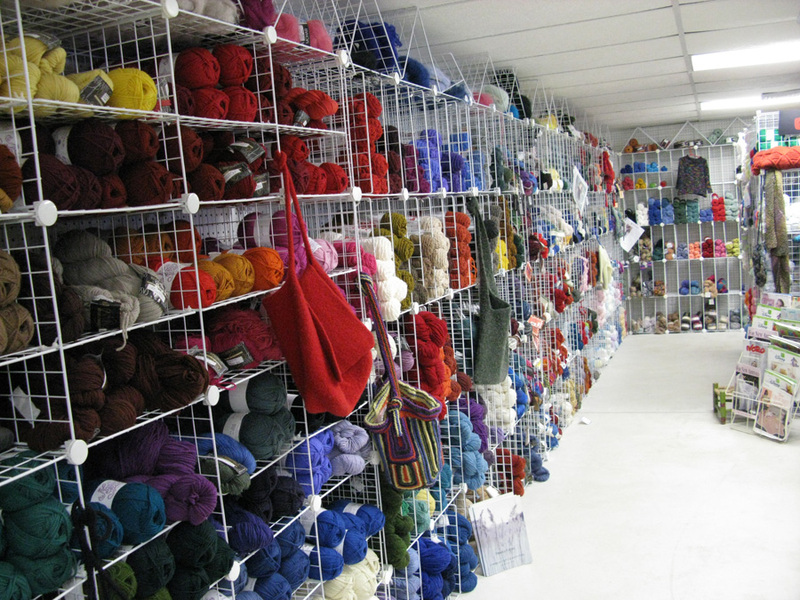 If you have an interest in the art and skill of knitting or the textures and production of yarn, you’ll want to take time out for a trip to Sheep Street Fibers. They even offer a wide variety of commercial yarns including wools, other natural fibers and even some acrylic yarns (for baby things). It’s well worth a visit! Wednesday evening - 6–8:30 p.m.
Thursday–Saturday - 10 a.m.–5 p.m.